Other than Halloween decorations and science museums, most people don’t encounter many skeletons. If you attended elementary school in the U.S. within the past few decades however, there’s a good chance you also got hands-on experience with rodent bones. More fun than frightening, owl pellet dissection is a common activity for kids, where they learn about the anatomy of owls and their prey while searching for skeletons. But what exactly are owl pellets, and why are they so ubiquitous in the classroom? Owls are very unique birds that understandably capture the imagination. 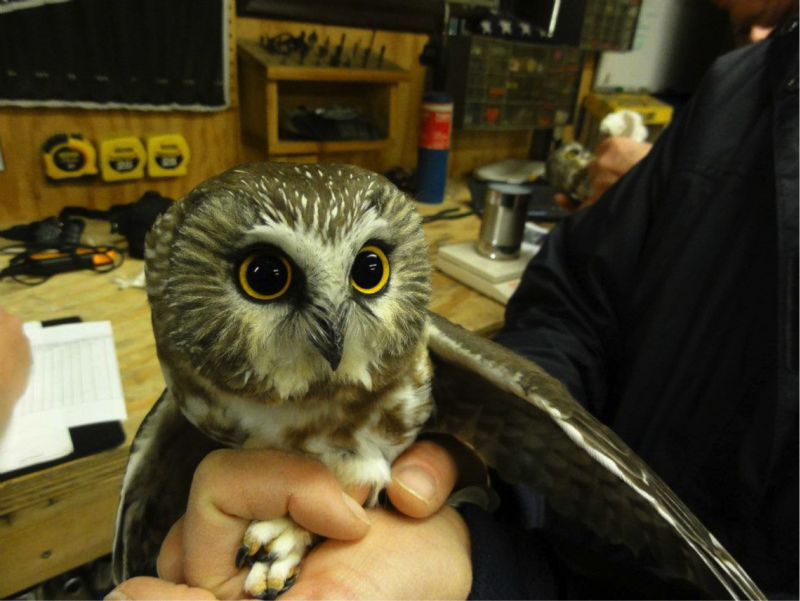 Eight owl species are found in the Chesapeake Bay Watershed, from the tiny Northern Saw-whet Owl (Aegolius acadicus) to the towering Snowy Owl (Bubo scandiacus). They are all most active at night and during crepuscular periods (dawn and dusk), when their calls in the dark woods can be mystical and eerie. Ferocious hunters, owls are often apex predators, controlling populations of rodents and other small mammals from the top of the food chain. While smaller birds mostly gobble up plant material and arthropods and other birds of prey more discriminately eat digestible material from their kills, owls’ behavior of eating their prey whole has led to the development of their digestive quirk: pellet regurgitation. Other raptors also expel pellets, but none perform the behavior as prolifically and notably as owls do. Most birds have a crop, a storage compartment at the base of the esophagus, where food is held for later digestion. Owls lack a crop, so their food travels directly to the proventriculus, a stomach chamber which specializes in chemical digestion. Enzymes and acids released into this organ begin to break the prey down and in the next stomach chamber, the muscular gizzard, soft materials like fat, muscles, organs, and skin are passed along to the intestines while non-digestible parts like fur, bones, and feathers remain. They get compressed into a pellet, which gets stored in the proventriculus for several hours until it gets regurgitated. This compacted pellet is full of fascinating information. 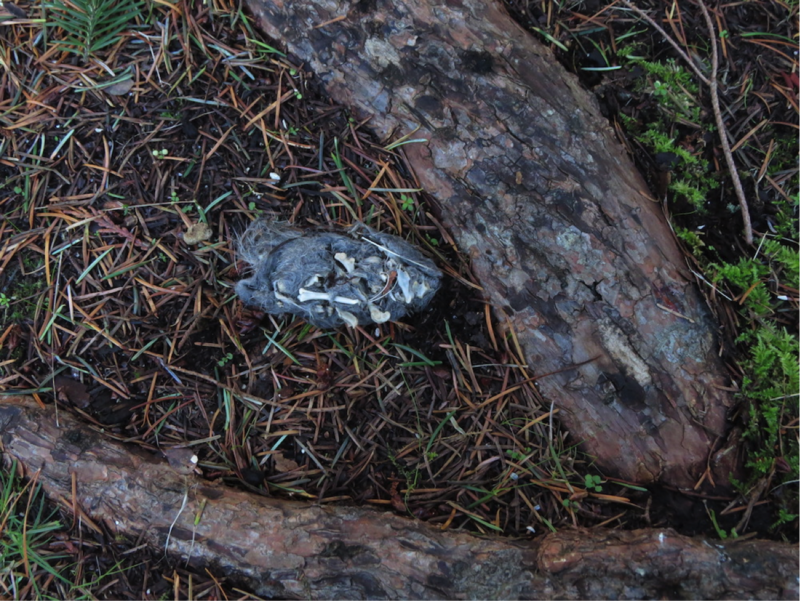 Ecologists can learn a great deal about an area’s biodiversity by sampling owl pellets; the predators can be much better at capturing rodents than a scientists’ traps. Owls typically feed opportunistically, eating whatever they can catch, so their pellets reflect the diversity and abundance of prey species in a given area. As trivial as this technique may sound, using pellets to determine prey abundances was found to be scientifically sound in a 2016 study. 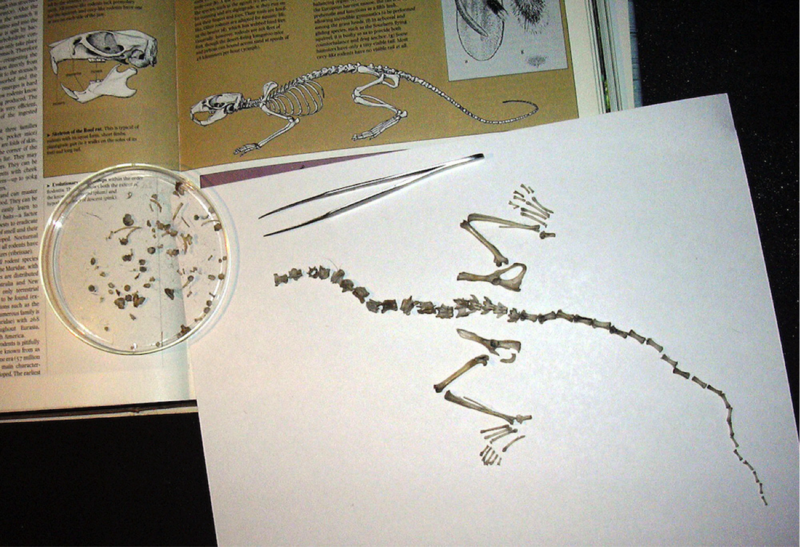 And of course, owl pellets are a great way for kids to get hands-on experience with wild animals (albeit dead ones). Schools and science museums purchase disinfected pellets for students to dissect, leaving lasting knowledge of life, death, bones, and biodiversity.